← Mexican Entrepreneurship Knows no Limits, Part VIII: How Good are These Elotes? I’m sorry, Megyn Kelly and your pals over at Fox News, but you’re not correct. While I might agree with you that -at least judging from this photograph- Santa is “white,” it is undeniable that he is also Hispanic. 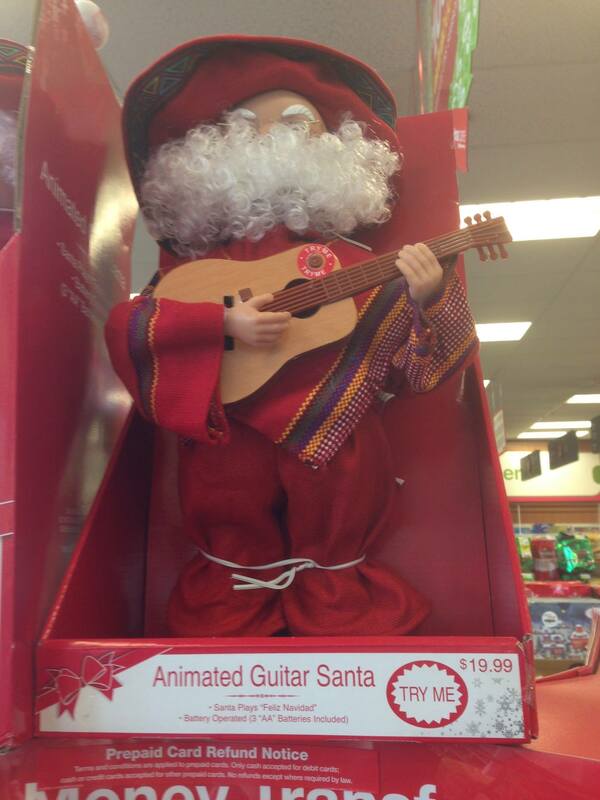 How else would you explain his wearing a sarape and singing to the tune of Feliz Navidad? Please note that I’m filing this blog post under the category of Latin celebrities, of course. This entry was posted in Latin celebrities, Stupid propositions, Television and tagged Feliz Navidad, Fox News, Hispanic Santa, Megyn Kelly, White people, White Santa. Bookmark the permalink.